This award-winning serum is made up of proprietary blend featuring a scientifically-advanced technology. 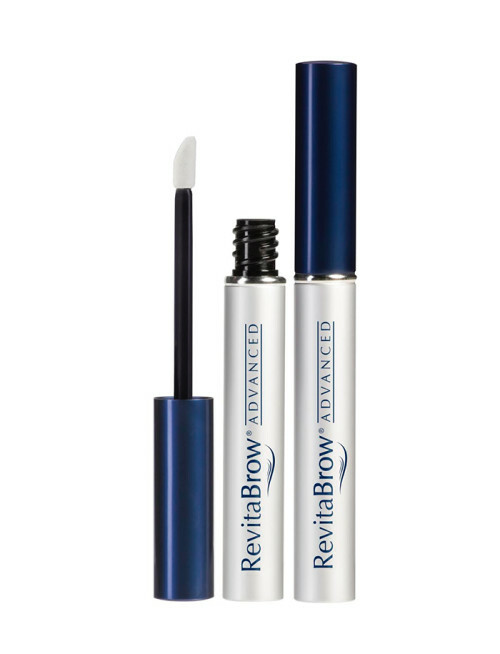 Their unique BioPeptin Complex® includes peptides, lipids, biotin, and green tea extract, rich in Panthenol, which condition and strengthen brows to protect against breakage, while improving flexibility and shine, resulting in more beautiful looking eyebrows. 1) Remove makeup and residue. 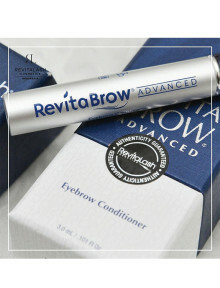 Keep in mind, oil-based makeup removers and cleansers can leave behind a film which may create a barrier between your brows and the brow conditioner. It is important to wash off any residue. 2) Apply a few short strokes of RevitaBrow® Advanced onto each eyebrow. It is not necessary to apply more frequently than once per day. Let dry completely before applying additional beauty products.